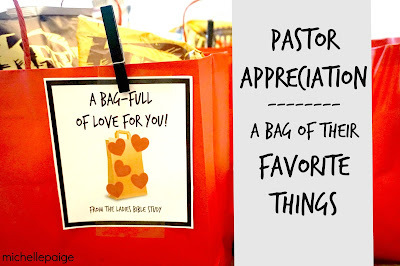 October is Pastor Appreciation Month and of course I couldn't let the month slide by without loving our pastors. 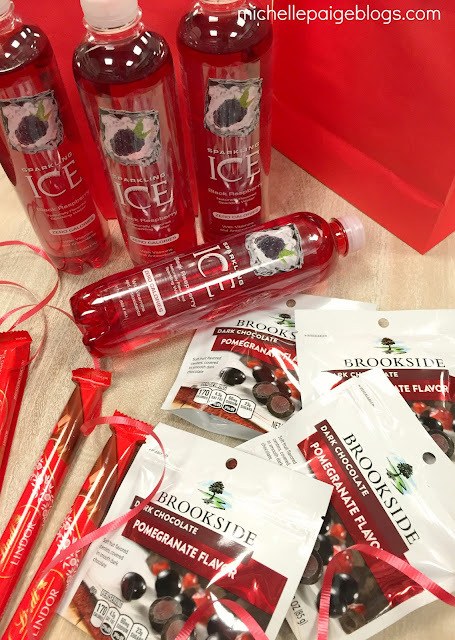 This REDiculously idea came from here. 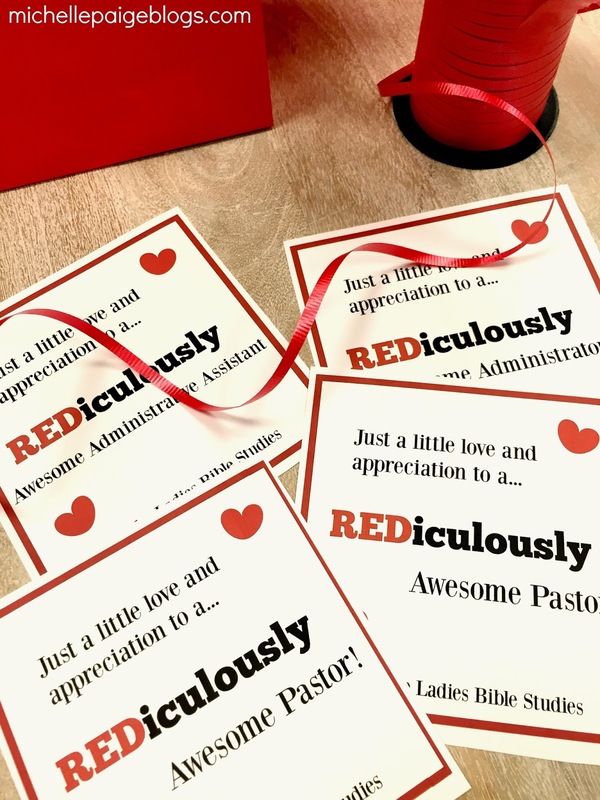 I thought it would be a fun and easy idea to honor the pastors at our church. 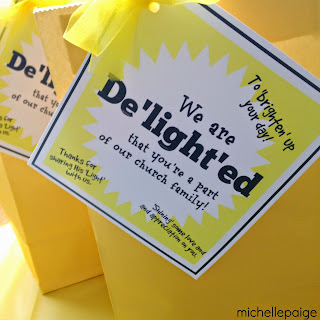 If I had been on my game ahead of time, I would have purchased these notecards and these envelopes ahead of time. 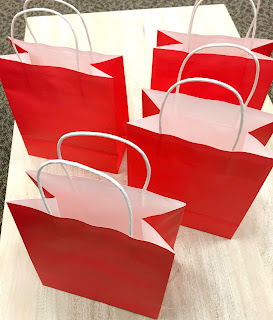 But, I was a little last minute in my planning, and ended up going to Michaels and buying out every red 'enveloped notecard' I could find! I handed out the notecards and asked everyone to write an appreciation note to our pastors. Some decided to put gift cards in their notes. 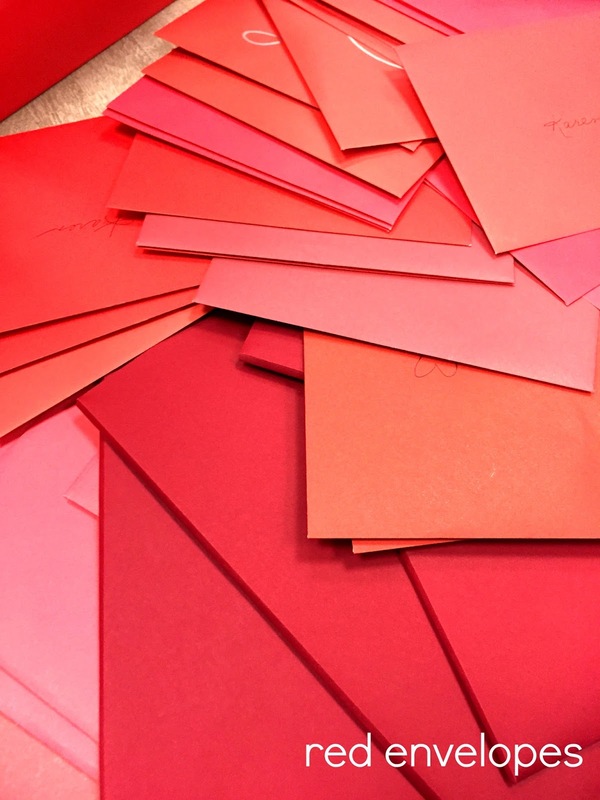 I collected the notes. 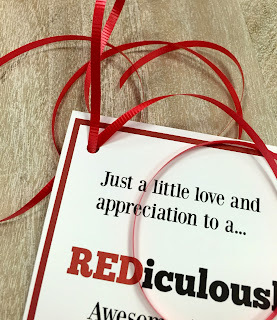 I purchased a few red treats to put with the red notecards. 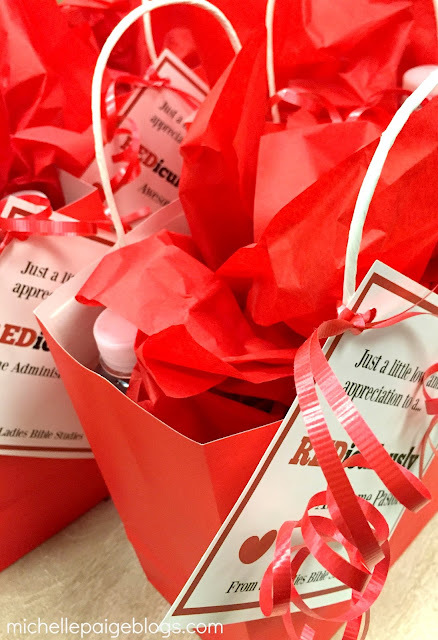 All treats and notecards went into red gift bags. 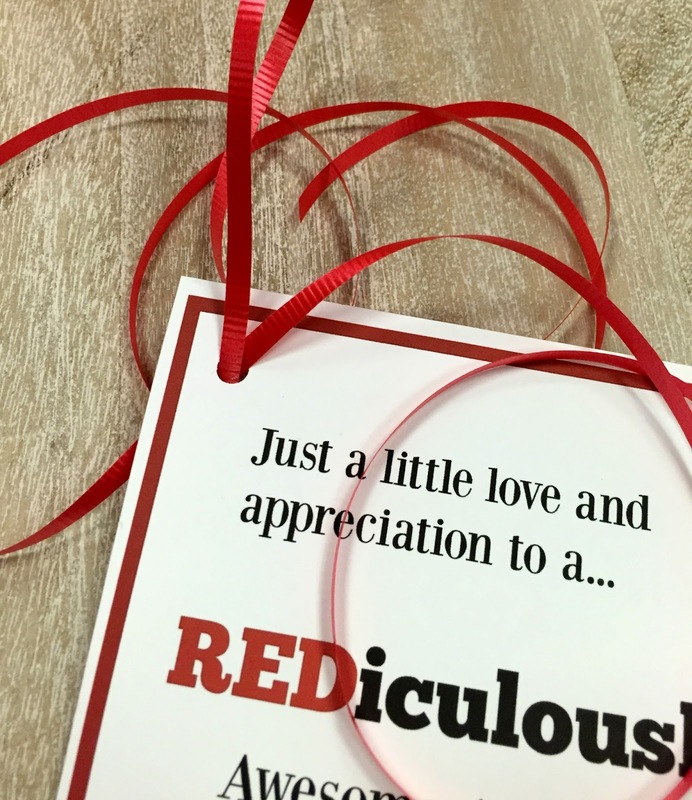 I made a simple tag and tied it on with red curling ribbon, of course! And added a bit of red tissue paper. 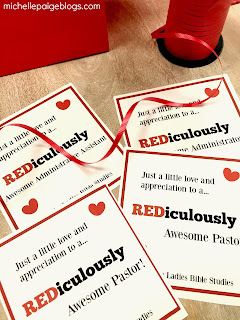 Then came the fun part...leaving them on the pastor's desks. 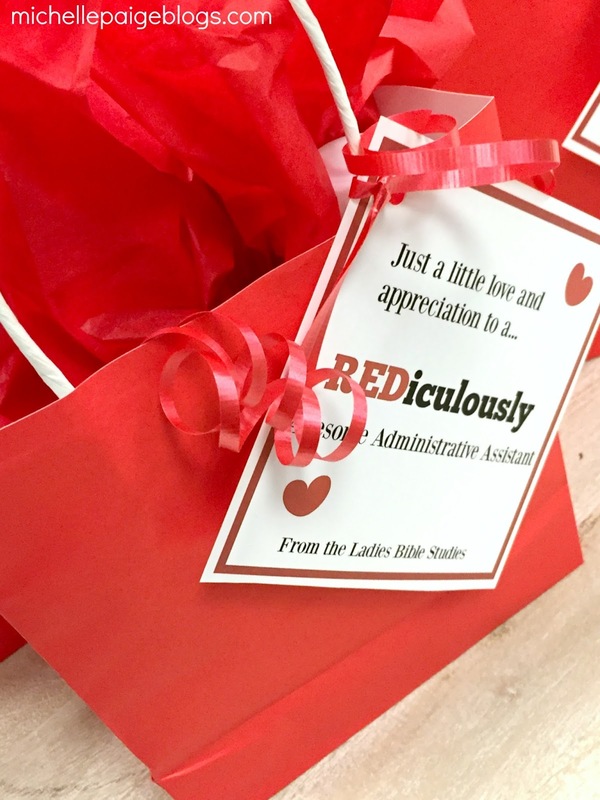 Of course they loved them! We also made bags for our church administrator and administrative assistant. 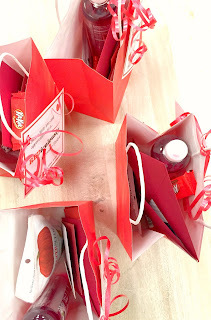 If you'd like to make your own RED-iculously Awesome gift bags, click HERE. 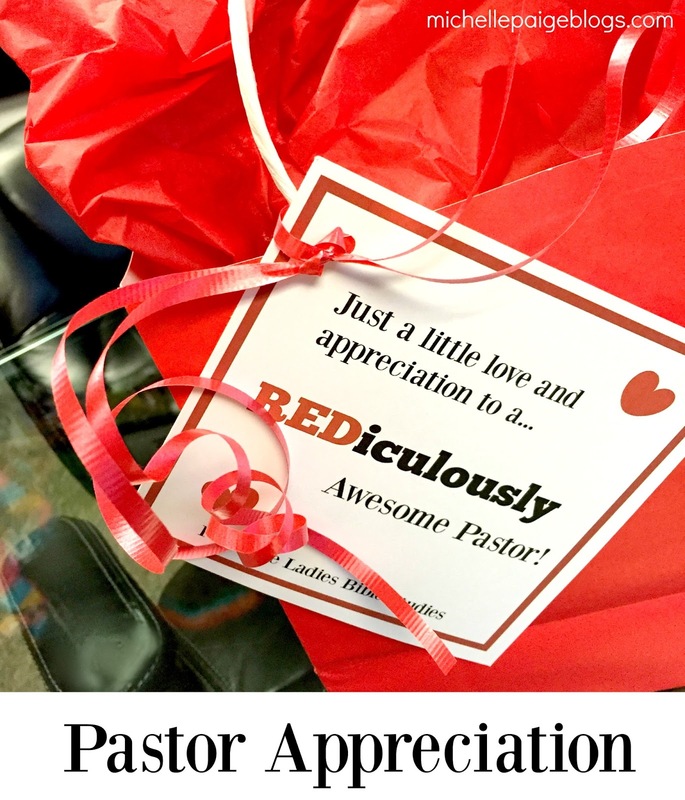 Here's some more Pastor Appreciation gifts.